Part 2 Typing to Communicate/ Tips for Getting Started/ Give it a Go! I am passionate about RPM! I realised that many others could use this approach – but how could they learn ? There were very few teachers and only one Soma! I started to share videos of myself and others working with Chris on my YouTube channel and people from all over the world started to contact me asking for help to get started. My objective is to EMPOWER PARENTS so they can learn Soma RPM , even without having direct access to a teacher – and to learn it correctly. I want to make it easy for people to try it and then to share their learnings, to make RPM accessible to people all over the world by providing free learning resources which supplement Soma’s books. I would HATE to think that RPM was only for the ‘rich’. I maintain close contact with Soma and encourage her to share her learnings on the facebook group. One of Chris’s helpers – Alexandra Hopwood is now a highly skilled RPM Teacher (she completed an internship with Soma) and she helps me to make short tutorial videos which have proved very popular! The video links are available in the RPM Learning Resources file (one of many free resource files linked to the facebook group). If you are wondering about RPM I’d like to urge you to join our group and make use of the free resources – what have you to lose? When I presented at the 2017 HALO RPM conference I was delighted to meet many parents who I recognised from the Facebook group and who have now gone on to set up their own local support groups and trained to become RPM teachers themselves. I know that many parents join the Unlocking Voices- Using RPM group and see the examples of RPM working but fail to try it themselves for months or years. Or try it a few sporadic times and drop it for months or years before finally giving it a proper go. For many, RPM seems to be a ‘last resort’ – nothing to lose. I think many people don’t believe or are afraid to believe for their own child – particularly when all the so-called ‘experts’ seem to spend so much time telling them what their child CANNOT and will not be able to do. Why would we not believe these experts? Every time your child fails to follow a simple instruction, or does not respond in a neurotypical way to an event, eg. no excitement at birthday/xmas, this serves to cement the belief that there is a huge lack of cognitive ability. On the other hand many parents I have spoken to will also say that their child is underestimated by teachers and give great examples which to me prove intelligence and learning capability eg . problem solving skills – finding escape routes, figuring out how to use dvd players, knowing when food cupboards are open , responding to their name. This proves that the child is capable of learning if taught in the right way. Some parents I have spoken to do not believe in themselves – they do not believe they are capable of delivering effective RPM sessions. 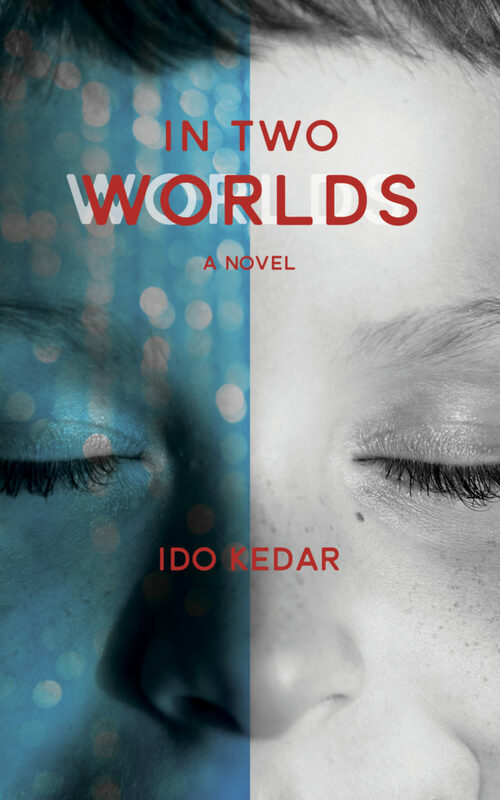 I can understand this – particularly if you have seen Soma or another experienced teacher. They make it seem so easy and then you have a go and make a total mess of it. Believe me, we have all done that ! I think it teaches our children a valuable lesson – we are showing that you will not be perfect when you are learning a new skill –so not to be afraid of making mistakes and not to give up but to keep practising . You are not going to do any damage to your child by trying a session and not delivering it perfectly – you will only get better with practise. I think that some parents may try RPM a little and “fail” without realizing they haven’t tried in an effective manner or given their child nearly enough opportunities to practise and progress in his skill and tolerance. Often seeing or skyping with an RPM teacher can rectify this, but equally there is a need to understand that RPM progression will be different for each student – so it’s ok to try it without thinking there needs to be an initial BIG BREAKTHROUGH or it’s a failure for the child. For many students the process is a long one – lots of daily practise for a year or longer without open communication. This takes resilience from parents who are ‘desperate’ to talk to their child and seek proof that all the time invested will be worth the effort. Those parents who haven’t tried yet may be daring (or maybe afraid) to hope that their child will type independently and share sophisticated thoughts IMMEDIATELY. Then if they try and don’t succeed in this there is a feeling of desperation and failure. – Tell myself I don’t have time. – Talk myself out it. – Think about it some more. – Procrastinate some more ( I have MANY unread books!!!). What I know now is that the MOST IMPORTANT THING is to simply TAKE ACTION AND TO HAVE A GO WITHOUT EXPECTING PERFECTION!! Then to KEEP GOING and LEARN from mistakes. 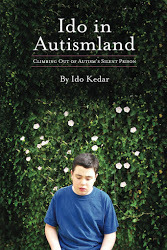 Please don’t judge your child’s potential by what he does with his body – Ido explains this really well in Ido in Autismland . I urge you to read this book and to share it with anyone who works with your child. A;You may have heard your mum talk a bit about this , As you get older you’ll start to hear the term ‘mental capacity’ more and more…. what is your understanding of this? C: IT IS ABOUT IF THE PERSON HAS THE CAPABILITY AND INTELLIGENCE TO MAKE DECISIONS PERTINENT TO THEIR LIVES. A:Very good…what type of decision do you think, give me an example of a decision? C:WHERE THE PERSON WANTED TO LIVE . A; I like that point – eg look at S Hawking– his body vs his mind. Do you think that’s why a lot of people struggle/confuse the two? Thanks for taking the time to read this – I hope you are inspired to just HAVE A GO ! Sue Finnes is an autism advocate, YouTube educator, and the moderator of Unlocking Voices-Using RPM Facebook parent learning group. She is the mother of Christopher, aged 19, who describes himself in this way, “I am intelligent but happen to have a body that doesn’t obey my thoughts.” They live in the UK. This entry was posted in "low-functioning" autism, autism, Communication, RPM, Soma Mukhopadhyay, Sue Finnes. Bookmark the permalink. Sue, Ido, I am so grateful to you both for sharing this. I relate to so much of this. The belief in your child, and the belief that the issues they are having are motor planning issues (even now I still mistake a motor planning issue for a spelling problem or a lack of understanding), the unconscious expectation that at some point there will be a ‘breakthrough’ and suddenly you will be communicating freely with your child. The skills you have to learn as a parent to do RPM can be daunting. It is possible but you need to give it a go – and keep giving it a go. Thank you to Chris as well, I use a couple of his quotes almost like a mantra to keep me on track when things are tough. My son is nearly seven now and uses the laminated board. Thank you again, it is the drip drip drip effect of posts like these that keep me going. Something I would add is that RPM can be great fun, I have increased my knowledge of some obscure little topics and my son and I have learnt together. I too think the term “mental capacity” is horrible; it stems from the era of forced sterilization. “Functions at the age level of” is another problematic term. Banning people from voting skews the results in favour of only one neurotype. The idea that a person “has the mental capacity of” the level of someone younger suggests the person is incapable of any mature thought. This is completely untrue, and certainly prejudiced when the person is not talking.